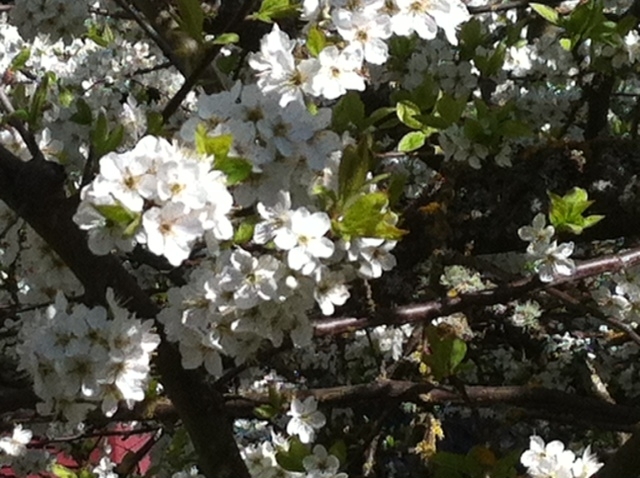 After one of the wettest winters we can remember, we’re relishing the scents of spring and every sun break. And as we think of all the rain that has fallen in recent months, we’re so grateful that deep wells of standing water are not in front of our community’s homes. Our advocacy against unsafe, unfair and untested bioswales proposed during the Barton Combined Stormwater Overflow (CSO) project planning helped us avoid this. We understand that CSOs are a very real and damaging issue for our environment. As recently as February, a failure of the West Point plant led to millions of gallons of sewage overflow into Puget Sound. We continue to follow King County’s CSO project work in our area e.g. Murray and now an impending Chelan CSO on the northeastern edge of West Seattle. King County declared their CSO project in the Westwood and Sunrise Heights neighborhoods complete in fall 2015; it’s something we will never forget and we’re hopeful others may learn from our experience. We’ll continue to maintain this site and update it as needed to promote safe stormwater infrastructure. We have two questions, the first being why didn’t King County begin with Rainwise from the start? Why push CSOs as a first–instead of as a last–resort? This is Seattle–we all support clean water and healthy, effective and safe methods to manage storm water. By using the strong arm approach of forcing deep and wide CSOs into neighborhoods, King County angered, confused and broke trust with its residents. As intelligent, caring and responsible home owners, we appreciate the more democratic and reasoned approach of asking residents to willingly take part in the effort to prevent CSOs through Rainwise. The second question is whether King County’s kinder and gentler approach is to be trusted–or if it’s just an interim step before the County continues its plans of spreading more CSOs in West Seattle and beyond? Limited budgets have likely played a part in King County’s scaling back of its initial West Seattle CSO plans. The County may also have changed gears in part due to the hard questions and backlash from affected residents. Even though we were unable to stop the Barton CSO construction, our advocacy efforts led to some positive results including trees being saved, a stronger emphasis on safety and improvements in bioswale design. Only time will tell what becomes of King County’s Barton bioswale project in terms of its safety, efficacy, maintenance and further spread. We’re cautiously optimistic the County’s enhanced focus on promoting Rainwise will stop the spread of CSOs across the County–but we’re still keeping a close eye on the proceedings in our neighborhood and beyond. We see plantings appearing in our neighborhood bioswales and plan to take photos to track the progress. One of the primary concerns is whether the swales will be well-maintained or not. Because bioswale maintenance often starts out strong and then falls short in areas such as High Point, we’ll be following what happens in Westwood and Sunrise Heights. Speaking of High Point, we also wanted to share this short video of what a non-functioning bioswale looks like there. We’ve been quiet, but we’re still here, in our neighborhood that now looks like a construction zone. We’re angry that King County keeps insulting our intelligence by referring to the deep ditches they’re installing as rain gardens–they are not rain gardens and continuing to call them this doesn’t make it so. What is true is that with each hole they dig, King County is legally liable if someone is hurt due to installation of these bioswales. Like you, we’re disappointed, but not surprised that the bioswale project has proceeded. King County was determined to push it through, come hell and high water. What we can do now? Monitor and track the functionality of the bioswales. Note if they cause the same safety and health problems as they did in Ballard. See our Issues and Photo pages for details. Get confirmation in writing from King County that they will maintain the bioswales. See if bioswales are maintained, as promised, or if they fall into disrepair, such as the High Point bioswales. Determine if bioswales contribute to traffic and parking congestion, especially with impeding emergency vehicles. Report any incidents experienced by children (e.g. the major bioswale going in near Westside School! ), the elderly or others as they try to navigate around the projects. Talk to your real estate agent to see if installation of these projects has impacted your home value. Reach out to the media to describe how this project is impacting you. Start with Tracy Record: editor@westseattleblog.com. Unlike the people installing this project, we live here. We’re forced to live with whatever the outcome of this project may be, and we’re not going away tomorrow or next week. Please continue to track what’s happening and send your updates to us: westseattleraingardens@gmail.com. 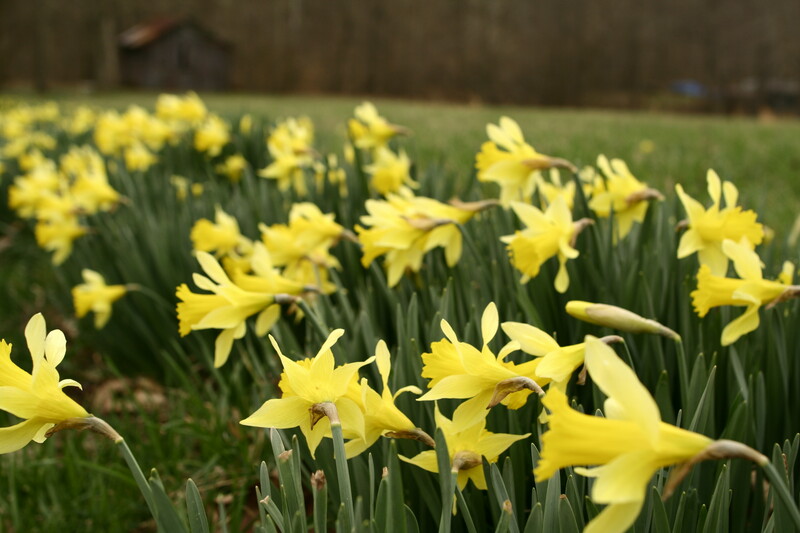 Spring is bringing beauty to Westwood and Sunrise Heights–and also a scaled back CSO project and the kickoff of King County Executive Dow Constantine’s re-election campaign. We think these two things are related. As election season begins, Constantine is unlikely to want any negative press. We are disappointed that concerned citizens and voters reaching out to him regarding the proposed Barton CSO project has resulted in resounding silence. We find it interesting that after months of expressing our concerns through this website, written and online petitions, speaking up at community meetings and by meeting with King County staff, as election season begins, King County has scaled back the project significantly. King County currently plans to construct bioswales on 15 blocks–which could spread to four more blocks. Just because your home may not be included in this initial selection, don’t think you won’t be impacted. Removal of trees, heavy construction, street closures and parking loss are just a few of the problems during a bioswale construction process. If the swales are then completed, you can look forward to a host of issues including tripping and drowning hazards, permanent parking loss, eventual neglect in swale maintenance and loss of property value. In addition to potential political fallout, it’s also possible that this project has been scaled back due to dwindling funds. If so, this also does not bode well for how the project will be maintained if built. It’s not too late to stop the Barton CSO project and employ other solutions. Our elected officials represent us and our issues. Our tax dollars should go to projects that contribute to both a safe and healthy environment. You have a strong and important voice; we hope you will join us by taking a stand right now. 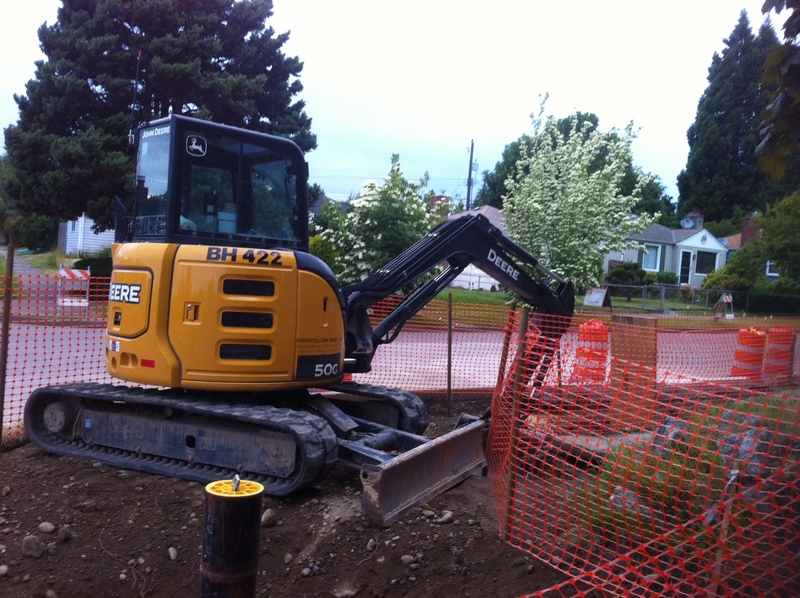 Despite numerous safety, health and other concerns voiced by West Seattle residents, King County continues to push the Barton Combined Sewer Overflow (CSO) bioswales project. What can you do? Attend an upcoming meeting and voice your concerns. King County’s “Open House” meeting is this Saturday, October 13, 10:00 a.m. – noon at Westside School, 7740 34th Avenue S.W. Make sure everyone in your household has signed the petition. Sign the online petition. Email us at westseattleraingardens@gmail.com if you want someone to visit your home with the printed petition. Read the Issues page. You’ll learn facts King County won’t share. Feel free to leave comments on any of our pages or blog posts. Contact King County Executive, Dow Constantine. Find his contact info here. Spread the word! Let other friends know via email, on Facebook, Twitter and other social media networks. Anyone—whether he or she lives in West Seattle, Washington State or beyond—can sign the petition and share concerns about this project.